From Amitabh Bachchan’s portrayal of Samudari Lootera to the biggest con Aamir Khan, fans are going gaga about everything in the Thugs of Hindostan trailer. However, many are disappointed as well. All the fans who were jumping with excitement for the trailer of this year’s most awaited film, Thugs of Hindostan, can finally relax and enjoy as the trailer has dropped on the internet and it is nothing but pure adrenaline rush. From Amitabh Bachchan’s terrific portrayal of a Samudari Lootera to the biggest con Aamir Khan, fans are going gaga about everything in the trailer. Aamir Khan unveiled the trailer with a social media post saying "Here come the Thugs! Its a big day for all of us. Missing Yash ji. Wish he was here with us. I hope that TOH will make your Diwali a fun and enjoyable ride!". 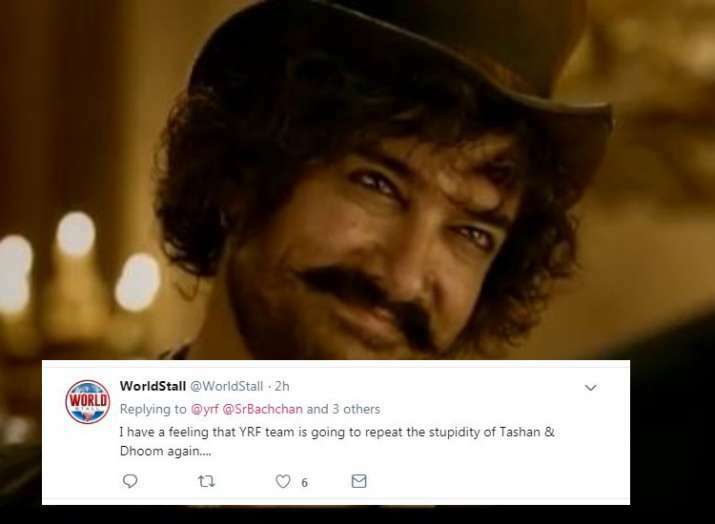 On YRF’s backbone Yash Chopra’s 86th birth anniversary, the makers came out with the trailer and it met almost everyone’s expectations. Indian version of Pirates of the Caribbean?! Even vfx are copied same as 15 yrs old movie. Nah....The trailer was underwhelming. Cgi was abysmal. Although it probably will earn buttloads of money, but damn what a shame it'll be. Not even a single word from #KatrinaKaif & @fattysanashaikh in the trailer. Mr. @SrBachchan is looking promising..
Thugs Of Hindostan, produced by Yash Raj Films and directed by Vijay Krishna Acharya, is based on an early 19th century bestselling novel about the Kali-worshipping Thuggee or Thug cult, a subject that has been tackled often by Hollywood in films such as Gunga Din and Indiana Jones And The Temple Of Doom. For latest stories breaking the internet, check out our BUZZ section!